Today sit down for a visit with Zachary Lowe from the Beaumont Brides series by author Laura haley-McNeil. I was on the fast track to be the most sought after broker on Wall Street. Life was great, the money, the women. My career was on an uphill trajectory. No one stood in my way, and why should they? By standing in my wake, they made lots of money, too. When I win, we all win. No attachments. No one expects anything from me and that’s what they get—nothing. I’m alone because I want to be alone. I’m with friends because I want to be with friends. I’m with a beautiful woman because I want to be with a beautiful woman. Beautiful women are everywhere—the celebrities, the socialites. I’ve been without money. Trust me, having money makes life much, much better. I’m the Black Knight of Wall Street. I swoop in, take over a company, build it up, sell it, move on. Sometimes there’s collateral damage. That’s life, but I keep my head above water. I’m giving these people a better opportunity. If they lose this job, they’ll find another one. They may not believe that at first, but after a while, they’ll see the opportunities are out there. I’m doing them a favor. What is the strangest thing your author has had you do or had happen to you? Life is good. I’m on track. I don’t like it when something moves in my way. I have to get rid of whatever’s standing in my way. Not everyone likes that, but they have to understand I’ll never be without money again. When Ellora moved into my path, she was an obstacle I hadn’t expected. She may be a college grad, but her wide eyes are filled with innocence. She hasn’t changed since high school. I’ll have to move her out of my way, but in the meantime, I intend to have some fun. She’ll understand when it’s over. They always do. Don’t put anything in my path. I know where I’m going and I know how I’m going to get there. I have a plan. I don’t need any obstacles in my path. If I encounter them, they have to go, no matter who or what. Ellora stood in front of me in the elevator and I knew everything had changed. Time to get back on track. People move in and out of our lives. At first I thought I could stop it, but I realize it’s a good thing. No one stays in my life too long. My mother taught me that. She’s always looking for someone better. More money. More excitement. At first when my father left, it hurt. I didn’t understand. But there was no way to change my mother. Attachments can hurt. It’s better not to have any. No attachments, no pain. Life. There’s so much out there. I’ll never get everything I want, but I’ll have fun trying. Just like the money. I’ll never have enough, but that doesn’t mean I can’t try. When I was a kid, I tried to understand why people moved out of my life. Why did my father leave? What did my mother have to gain by it? It wasn’t until her last marriage that I realized she never had enough of…you name it. She wanted wealth, prestige, the high life. What I learned, I learned from her. That’s easy. Ellora Duvall with her heart as big as her dark eyes. She’s beautiful and she’s sweet. Her life hasn’t been easy, but she still cares. There’s not much that she does that I like, but I have to commend her for that. The world will rough up that sweet spirit of hers, which is a shame. It’s nice to know there’s still someone good in this world. But if she’s going to survive, she’s going to have to face the fact that there will be bumps along the way. She’ll get tough, but then she won’t be Ellora anymore. Ellora’s father, Steve. He had something that isn’t possible—real love for his wife. Sometimes the way they cared for each other didn’t seem real. It had to be an act, right? Nobody loves someone else that much, but he almost had me fooled. Laura Haley-McNeil can be found at her website. My brother Preston Lowe tells me she’s been messing around with his life. He’s on a career path that will take him overseas. He needs to talk to Laura. What she’s doing is not what he wants. There’s always another company that needs to be acquired. Just because someone is in charge of a company doesn’t mean they know what they’re doing. I do. I’m always looking for opportunities. They’re not hard to find. As long as everything goes my way. There’s a reason they call me the Black Knight of Wall Street. 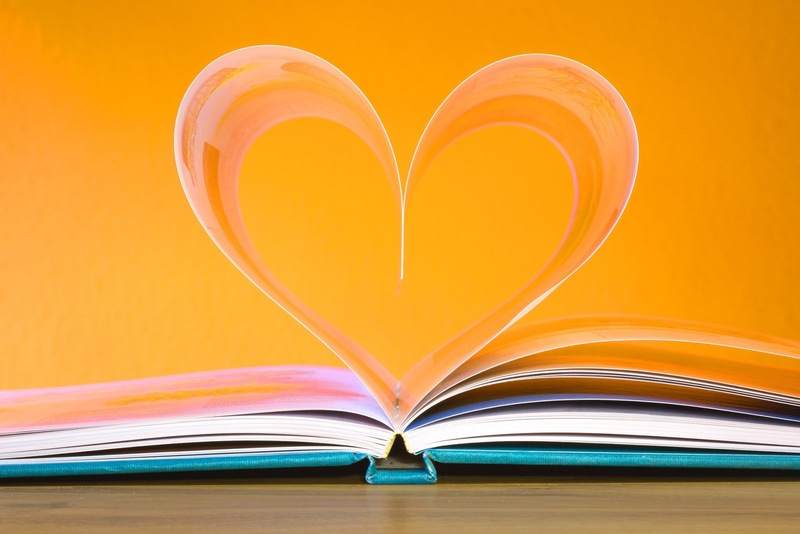 Ellora Duvall, the sweet kid who crushed on him in high school, waltzes into the world of corporate finance with the same wide-eyed innocence she had in chemistry class. He hadn’t expected her to affect him the way she did, but he’s in control. A few weeks with Ellora will be pure pleasure, then he’ll move on. She’ll understand. He should, too. 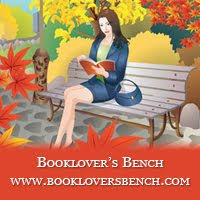 Today we sit down for a chat with Cleo Watkins from author Nora Page’s Bookmobile Mysteries. Quite similar, although right after my author got involved, I did suffer a terrible scare. Besides discovering a dead body, that is. It looked like I might be forced to retire! I know I’m 75, but librarians come in all ages, and I adore my job. 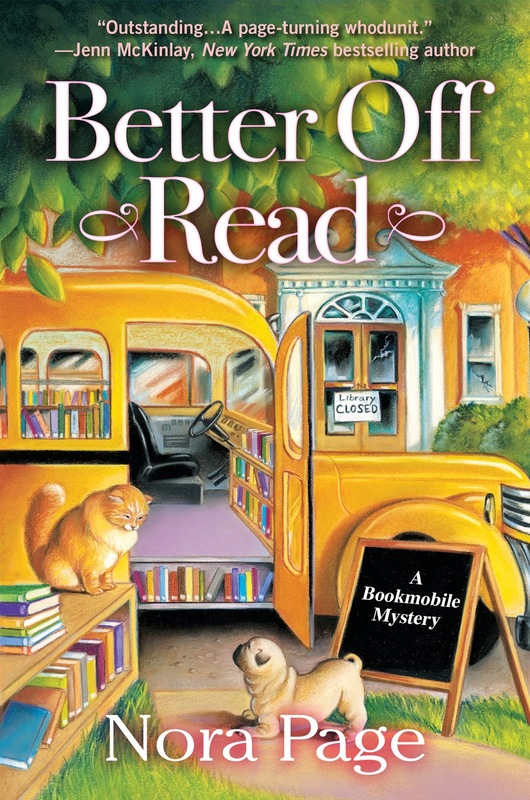 I especially love hitting the road in my bookmobile, even if I do tend to roll into trouble. 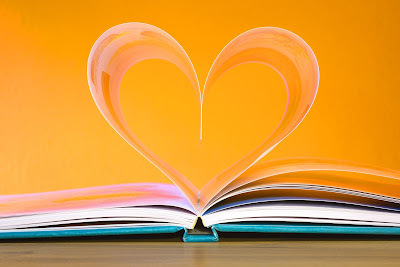 I respect books. I’d never, ever dog-ear a page or crack a spine or expose the printed word to vile substances such as chewing gum or highlighter ink. I will admit, however, that I recently had a horrible urge. I almost pitched a hardback at someone! I overcame the urge. I’m a southern lady, after all, and I’d never harm a book. I wish I didn’t get so wrapped up in trouble. If I weren’t investigating crimes, I’d have more time to relax on my front porch, reading and sipping tea. But I have to help if I can, and librarians and detectives do share certain skills. Thankfully, she hasn’t had me do anything too strange yet. Except for picnicking at a crime scene recently. And breaking into a retirement home. Oh, and she did just involve me in a high-speed chase… I usually enjoy some speed, but not under those circumstances! Bless her heart; my author tries to stop me from enjoying sweets. She’s like my doctor, fussing that I should stay clear of sugar for my health. I do my best, but tea without sweetening is unnatural, I say. I’ve been softening my author up, though. I convinced her to include my award-winning recipe for hummingbird cake in her book. It’s a banana–pineapple spice cake with waves of cream-cheese frosting. Losing someone I love. And spiders. I apologize to spiders, but they raise chill bumps up my arms and the hair on the back of my neck. My bookmobile, my gentleman friend, and my frowny-faced Persian kitty, Rhett Butler. I’d do more of the driving. My dear, departed husband used to hog the wheel. In my senior, single years, I’ve discovered my love of the open road. Now I have to work on easing up on my enthusiasm. I’m afraid my lead foot has led to a few speeding tickets. Remember my unseemly urge to hurl a book at someone? That would be my town’s young mayor. He told me I was overdue for retirement. How rude! Worse, he wants to shutter my town’s library! My young assistant, Leanna. She’s studying library science at a nearby college. I wish I could take her place for a semester or two and buff up on all the new tricks of our trade. My author has a website. It describes her (my) story and upcoming events and contains links for her other social media sites. 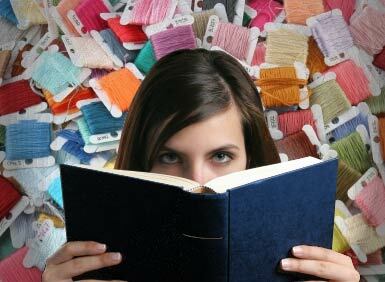 I’ve been staying busy and so has my author. She just finished writing up a draft of my latest case. It involves my quest for a four-decades-overdue book and an unfortunate incident…another murder. 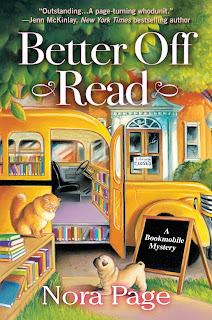 When her best hope of saving her storm-damaged library is found murdered, senior librarian Cleo Watkins hits the road in her bookmobile in search of justice. Septuagenarian librarian Cleo Watkins won’t be shushed when an upstart young mayor threatens to permanently shelve her tiny town’s storm-damaged library. She takes to her bookmobile, Words on Wheels, to collect allies and rally library support throughout Catalpa Springs, Georgia. However, Cleo soon rolls into trouble. A major benefactor known for his eccentric DIY projects requests all available books on getting away with murder. He’s no Georgia peach, and Cleo wonders if she should worry about his plans. She knows she should when she discovers him bludgeoned and evidence points to her best friend, Mary-Rose Garland. Sure of Mary-Rose’s innocence, Cleo applies her librarian’s sleuthing skills to the case, assisted by friends, family, and the dapper antiquarian bookseller everyone keeps calling her boyfriend. Evidence stacks up, but a killer is overdue to strike again. With lives and her library on the line, Cleo must shift into high gear to close the book on murder. Today we have a visit from romance author Judith Keim who is sharing a passion she and her heroine both share—decorating. 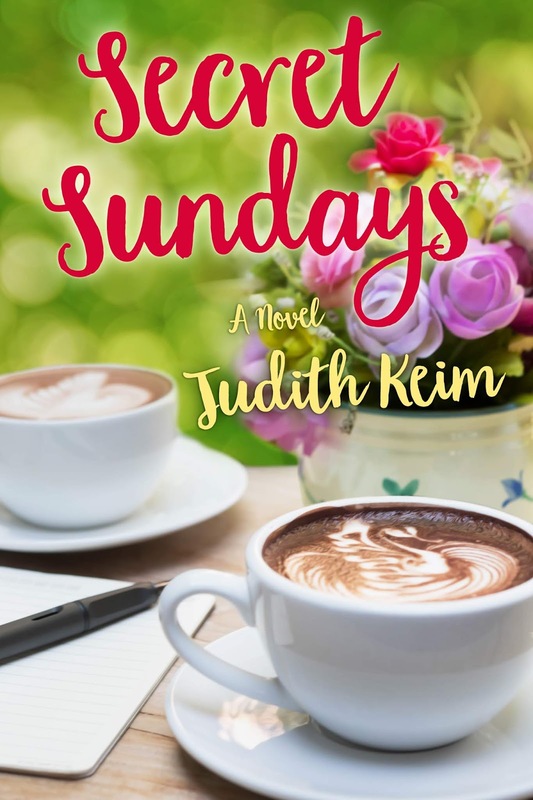 Judith loves writing about strong women facing challenges and finding love and happiness along the way. Learn more about her and her books at her website. For years, Carol Ann Mobley has cut out decorating ideas from magazines, praying for the opportunity to move out of her parents’ house with a wonderful, devoted man and have the home she’s always dreamed of. When she abruptly finds herself pregnant and realizes she may never find such a man, she moves into her own apartment with the help of her friends in the Fat Fridays group. Left on her own without her mother’s constant nagging and belittling, Carol Ann’s creative juices begin to flow. She turns the small apartment into something far more attractive with little decorative touches. When her friends come to her for help, she forms the idea of having her own business. She starts slowly—decorating for Christmas both in her apartment and in her boss’s condo. Her ideas aren’t complicated, but tasteful—clear glass Christmas trees set among fresh green aromatic boughs of fir, a bowl filled with colorful balls, ribbons interwoven among the branches on a Christmas tree color-coordinated to match the rug. Later, on days off from work, she takes on the task of furnishing her boss’s entire condo, coordinating a theme and colors throughout. In all of my books descriptions of settings are important. It’s fun to write about the room or rooms I see in my mind. It’s as if I’m decorating them myself, and, of course, I am. My husband and I have moved a lot. Seeing each new home decorated in a way suitable to its location has always s been fulfilling for me. 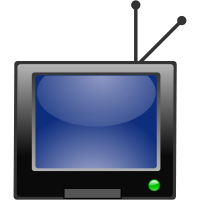 While I don’t have clippings of magazine articles filed away, I love to look at what others have done in their homes or online. Sooner or later, it could end up in one of my books! The picture I’ve shown demonstrates how dramatic something so simple can be, adding an appealing touch to a room. 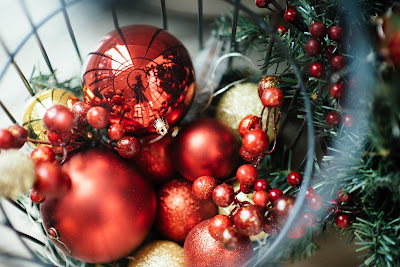 I love to fill glass bowls with something appropriate for the moment – colorful balls at Christmas, seashells for summer themes, fresh flowers in the spring. Candles add texture, color, and aroma to rooms. Pictures and photographs are another way to make your “space” unique and satisfying to you. What are your special interior decorating touches? The women in the Fat Fridays group continue to come together for their Friday lunches—no calories counted—and to help each other deal with life’s complications. With her unexpected pregnancy and the support of the women in the group, Carol Ann breaks free from her dismal life with her parents. Left on her own with no support from the father of her child, she decides to start an interior decorating business on the side. She begins by secretly helping Ed Pritchard, her boss at MacTel, decorate his condo for Christmas. One Secret Sunday leads to others. Carol Ann and Ed are planning a future together when Lee, a tall, thin, beautiful young woman sent from MacTel’s California headquarters to “fix” their office, disrupts their world. Then, when Ed is diagnosed with a serious illness, he decides it’s only fair to break off his engagement to Carol Ann. Devastated, Carol Ann wonders how she can continue. 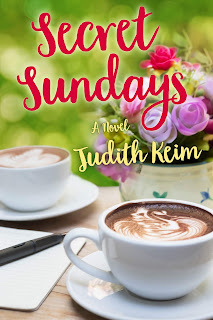 But all their Secret Sundays bring about a new beginning when he joins her for the birth of the baby he wants to help raise. The women in the Fat Fridays group celebrate in style as they welcome another little one into their midst. Multi-award winning author Heather Haven writes humorous, noir, historical, and romantic mysteries, short stories, and plays. Today Lee Alvarez, protagonist of her Alvarez Family Murder Mystery Series, shares one of her uncle’s recipes. Learn more about Heather and her books at her website. I don’t mean to brag, but as the central character of the humorous Alvarez Family Murder Mystery Series, I get to eat a lot of terrific food. That’s because my Tio is the retired head chef of the world famous Las Mananita’s Restaurant in San Jose, California. During his illustrious career, his recipes were often written up in gourmet food magazines. They’d throw in a few pics, too, because Tio is one classy-looking uncle. I have all the articles and pictures in a scrapbook I started in my early teens. That was before my PI days. I don’t have time to make scrapbooks anymore – I don’t have time to do squat anymore– but I always seem to find time to sit down at the dinner table and scarf down one of his culinary masterpieces! Tío’s desserts undo me. While he’s creating a recipe, he makes it again and again until it reaches his idea of perfection. Meanwhile, lucky me gets to gobble up every version, as he strives for the ultimate. When Tio was working on his homemade mango and red plum ice cream garnished with fresh spearmint leaves, I must have gained six pounds. Fortunately, I spend a lot of time chasing bad guys over Bay Area rooftops, so I tend to lose the weight as fast as I gain it. 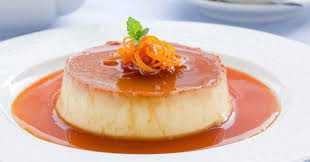 I’ll tell you, though, my favorite is his Flan de Naranja. No lie, his flan has gone down in song and legend. Tio even picks the oranges himself from our backyard. Olé! In a medium bowl, beat eggs and yolk. Beat in sugar until smooth. Set aside. In a large saucepan over medium heat, combine cream, half-and-half, the vanilla bean and its scrapings, and the peel of one orange. Heat until bubbles form at edges of liquid, reduce heat to low and simmer 15 minutes. Remove orange peel. Beat hot cream into egg mixture, a little at a time, until all is incorporated. Stir in orange liqueur. Pour into 4 to 6 individual custard cups. Line a roasting pan with a damp kitchen towel. Place cups on towel, inside roasting pan, and place roasting pan on oven rack. Fill roasting pan with boiling water to reach halfway up the sides of the cups. Bake in preheated oven 45 to 60 minutes, until set. Let cool completely. Sprinkle candied orange peel on top of each cup before serving. Lee’s Uncle Tío is smitten with the guest chef at a Silicon Valley culinary arts institute. 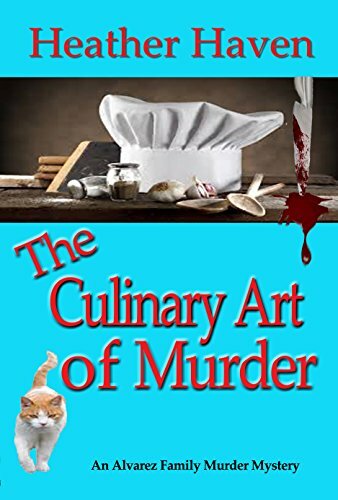 When the woman is arrested for the murder of a fellow chef, a reluctant Lee agrees to help prove Tío’s lady love innocent. But Lee suspects the ambitious, southern belle of a cook might just be guilty. Undercover work at the institute proves to have more pitfalls than whipping up a chocolate soufflé. The killer isn’t done and tries to get Lee out of the way permanently. But just who is the murderer? The accused? One of her two sons? Another inmate from a cooking school with more to hide than dirty dishes? 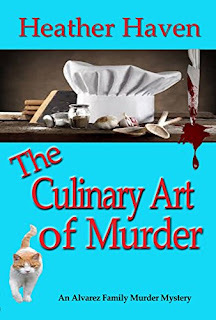 With secrets as plentiful as sauces, the nagging question remains, if Lee proves the lady chef guilty, will Tío ever forgive her for sending his new love to jail? Last week we featured a coloring project for littlegirls to do on a rainy summer day. Today we’re offering one for the boys. 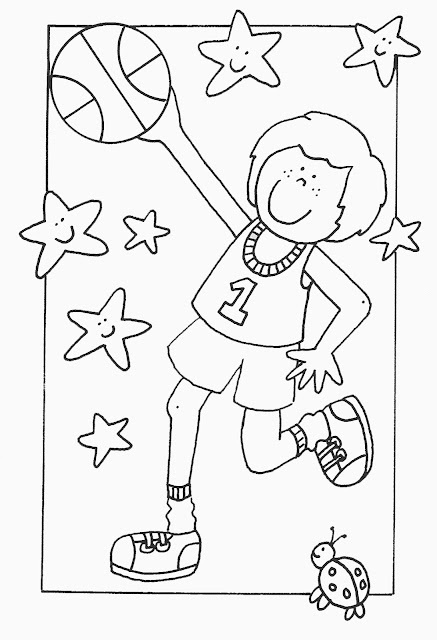 Print out this basketball player for the little ones to color with crayons or colored pencils. Mount the finished drawing on a piece of colored construction paper. If you have pinking shears, trim the edges of the construction paper for a decorative look. Glue a ribbon to the top back corners for hanging. For added decoration, glue on assorted colored buttons. Today we sit down for a chat with Jacob "Kid" Lassiter. 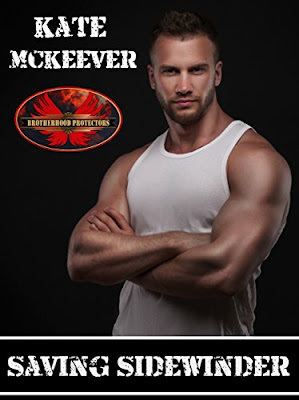 He appears in Saving Sidewinder from romance author Kate McKeever’s Brotherhood Protectors World series. Pretty boring. I was in rehab after the hospital. That was after I was injured by an IED in the Middle East. I guess I'm good with animals. That was a surprise. My memory is shot after I was injured. I have to think hard to remember stuff that shouldn't be that hard. Go to the Brighter Days Rehabilitation Ranch in Montana. I was born and raised a southern city kid in Memphis, then joined the Army and the Rangers. Never had any experience on a ranch but it's working out okay. Nah. She's pretty much had my best interests in mind, so far. Letting down my buddy, Sidewinder. Being with the horses and getting my life back on track. I'd not be injured. I'd still be in the army and doing what I do best. This guy, Price? He's one bad apple and we've had a lot of trouble out of him. Haven't even met him yet but he's out to get Alana and Charlie and doesn't care who he messes up in the doing it. Talley, the ranch foreman. He knows his place in the world and knows his job. Kate is a dark horse. She's all nice and kind but in the back of her mind, she has some deviousness about her. Her website has stuff about her books and things she enjoys. Her facebook page, the one with friends on it, tells you more about who she really is and what she cares about. I'm going to stay on at the ranch for a while. I've had a bit of an accident and need to recuperate. And that means I get to stay near the horses, which is a good deal for me. Sam “Sidewinder” Jameson left the Rangers to keep an eye on his young friend, Kid, as he recovers from their last mission, an injury Sam blames himself for. To tide him over and be close at hand, Sidewinder agrees to a short stint with Hank Patterson’s Brotherhood Protectors. He expects his assignment to guard Alana Christian and her son from threats to be a job, nothing more. What he doesn’t plan on is how the job will change him and his expectations, both of Kid and of himself. Today we say goodbye to spring and hello to summer. If you're like me and prefer cooler weather, you're probably starting to complain about the heat. So I thought I’d offer a treat to keep you cool, at least psychologically, with a sneak peek at the next Anastasia Pollack Crafting Mystery. Drop Dead Ornaments, which will be available in October, begins in December on the same day Scrapbook of Murder ended. Click here to read the first chapter. Anastasia Pollack’s son Alex is dating Sophie Lambert, the new kid in town. For their community service project, the high school seniors have chosen to volunteer at and raise money for the county food pantry. Anastasia has helped them by tapping her craft industry contacts to donate materials for the students to make Christmas ornaments to sell at the town’s annual Christmas bazaar. While at the bazaar, Anastasia meets Sophie’s father, who appears evasive regarding his profession and where he and his family had formerly lived. She also notices a stranger hanging around, apparently attempting to eavesdrop on their conversation. She points the woman out to Mr. Lambert, but he denies knowing her. When the woman turns up dead later that evening, Sophie’s father becomes the primary suspect. Alex begs his mother to help find the real killer. Anastasia has had her fill of dead bodies, especially since they keep endangering her own life. She’s vowed to retire forever from amateur sleuthing, but how can she say no to her son? 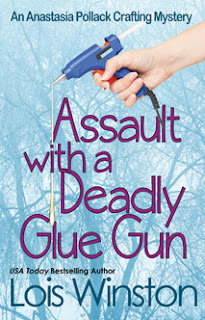 Meanwhile, for those of you who still haven’t met Anastasia, Assault With a Deadly Glue Gun, the first book in the series is currently on sale at Amazon as an ebook for only .99 cents. The sale ends Sunday, June 24th, after which time the book will return to its regular price of $4.99. When Anastasia Pollack's husband permanently cashes in his chips at a roulette table in Vegas, her comfortable middle-class life craps out. She's left with two teenage sons, a mountain of debt, and her hateful, cane-wielding Communist mother-in-law. Not to mention stunned disbelief over her late husband's secret gambling addiction, and the loan shark who's demanding fifty thousand dollars. Anastasia's job as crafts editor for a magazine proves no respite when she discovers a dead body glued to her office chair. The victim, fashion editor Marlys Vandenburg, collected enemies and ex-lovers like Jimmy Choos on her ruthless climb to editor-in-chief. But when evidence surfaces of an illicit affair between Marlys and Anastasia's husband, Anastasia becomes the number one suspect. 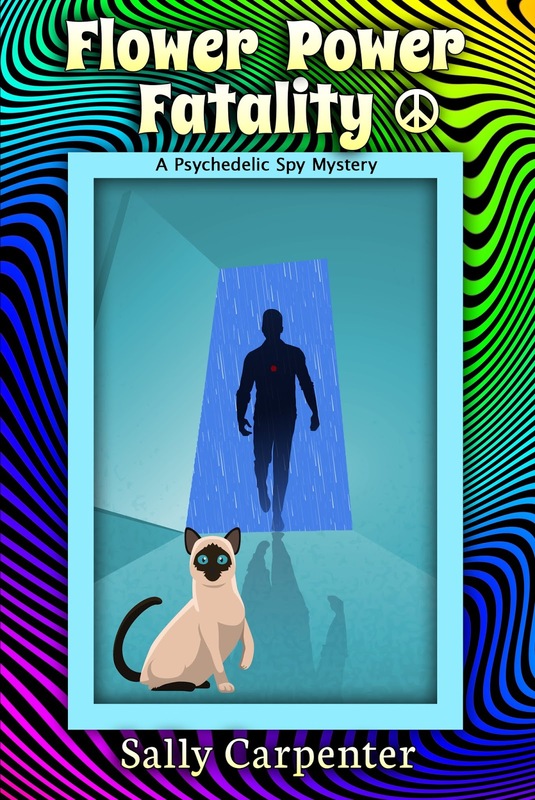 Today we sit down for a chat with Noelle McNabb from author Sally Carpenter’s new Psychedelic Spy Mystery Series. I play the Winter Witch in the Candy Cane Capers, a silly musical show at the Country Christmas Family Fun Park, a holiday theme park in Yuletide, Indiana. When school is in session, the park is only open weekends, so in those months I work part time at the Groovy Vinyl Record Store. I spend time with my family and friends and teach tricks to my cat, Ceebee. He’s very smart but a glutton. I’m smart and flexible. That comes from being an actress. Improv helped me to think on my feet. I have a good memory, learn things quickly (like lines) and remember faces. That I’m twenty-five years old and still stuck in my boring hometown. 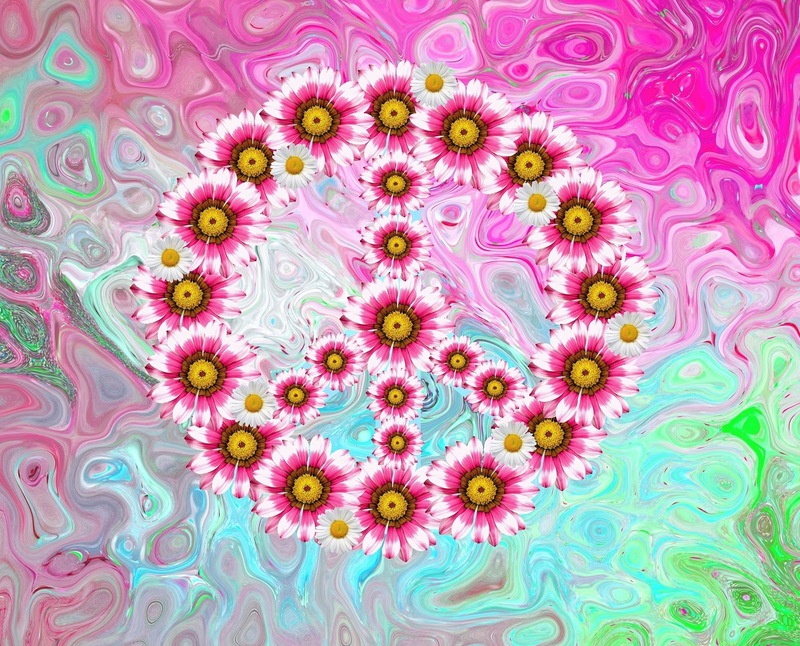 Even though the year is 1967, the older generation acts like it’s 1950. What a drag. I’m saving money so I can move to Hollywood and be a big star, but some days I wonder if I’ll never make it. She got me involved with a super-secret spy organization called SIAMESE (Special Intelligence Apparatus for Midwest Enemy Surveillance and Espionage). Those cats are so far under the radar, nobody knows about them—and they like it that way. One of their couriers almost died on my front porch, and next thing I know, I’m running around at night in the weirdest places, looking for missing microdots. So far we haven’t argued much. My author is much like me. She and I are both tall, are former Girl Scouts, love cats, go to church, and watch too much TV. We both grew up in small, rural Midwest hometowns. When she was my age, she, too, wanted to go to Hollywood and be an actress with her own TV series. Years later she finally made it to L.A., but instead of acting she wrote mystery novels about an amateur sleuth who once had his own TV series. That in my spy work I’ll die in some faraway place and my family will never know what happened to me and I’ll be buried in a strange place in an unmarked pauper’s grave. When I do something that makes my parents proud of me. They were pleased when I made honor roll and dean’s list in school. They’ve always gone to the plays I’ve been in. They were impressed when I found the killer of the young man who showed up on my doorstep. 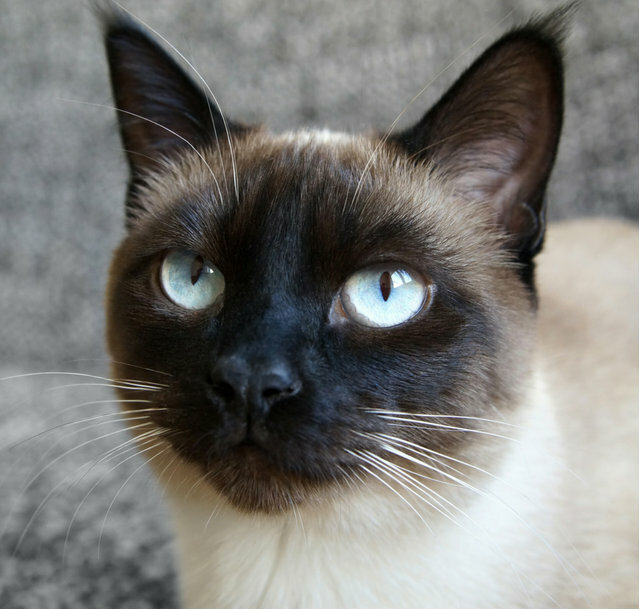 I want to brag about the work I do for SIAMESE, but I must keep it a secret, which drives me crazy. When I was away for a couple of days on spy work, Mom wondered where I went and I had to lie to her. I hated doing that. One of my good friends is a reporter for the Yuletide Herald newspaper and he’s been snooping around. Someday he’s going to find out about SIAMESE. I can’t tell him, either. Gus E. Monty, one of the many dopey boys I grew up with in school. He sells insurance. His parents are bugging him to get married, and since I’m one of the few old maids left in town—most girls in Yuletide get married when they leave high school—he’s always pestering me to go out with him. Ugh. I’d rather be caught by an enemy agent than to date that creep. I like who I am, but the person I admire most is Destiny King, the SIAMESE agent I work with. She’s a beautiful black woman, very sharp and good at what she does. She’s a black belt martial artist and can pack a punch when we’re in a fix. At first, she didn’t seem to like me, but now we make a good team. But she won’t talk about her personal life. Because of her job she doesn’t get close to people. I’d like to know more about her. I’ve mentioned a little about her already. She lives in Southern California and works full time at a community newspaper. She has a cat that is a mouser like Ceebee. She’s written four books in the Sandy Fairfax Teen Idol series, three short stories published in anthologies and a chapter for the “Chasing the Codex” group novel. To atone for killing people on paper, she also pens a newspaper faith column. 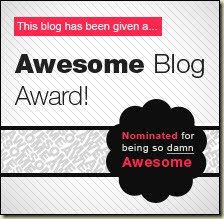 She posts once a month at the Ladies of Mystery blog. Her website is http://sandyfairfaxauthor.com. A guru comes to town, preaching about love and peace and meditation. His hippie followers arrive as well, which doesn’t set well with the old folks. One of the hippies dies of a drug overdose, but I don’t think it was accidental. And my boss at SIAMESE thinks the guru has something up his sleeve besides his hairy arm—perhaps a scheme that might involve my dad’s work at the electronics plant. The Cold War gets cozy in this retro-cozy spy caper set in 1967, a year of music, miniskirts—and murder! Actress Noelle McNabb works at the Country Christmas Family Fun Park in Yuletide, Indiana, but she longs for the bright lights of Hollywood. Real-life drama comes her way when a stranger with a fatal gunshot wound stumbles across her doorstep. 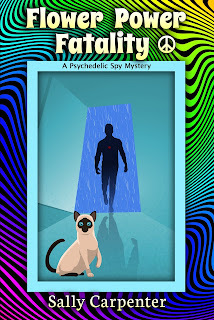 When she attempts to finds the man’s murderer, Noelle encounters a super-secret spy agency, SIAMESE (Special Intelligence Apparatus for Midwest Enemy Surveillance and Espionage). SIAMESE recruits Noelle on a quest to find missing microdots under the guidance of a street-wise agent, Destiny King. As Noelle goes undercover in a cheesy nightclub and faces the enemy in late-night chases, she uncovers family secrets and finds her moral values put to the test. Along with her pet cat, Ceebee, and the kooky residents of Yuletide, Noelle discovers it takes a village to catch a killer. This is by far the best butter cream frosting I’ve ever eaten. It’s light and not too sweet, and once you try it, you’ll never make your butter cream any other way. 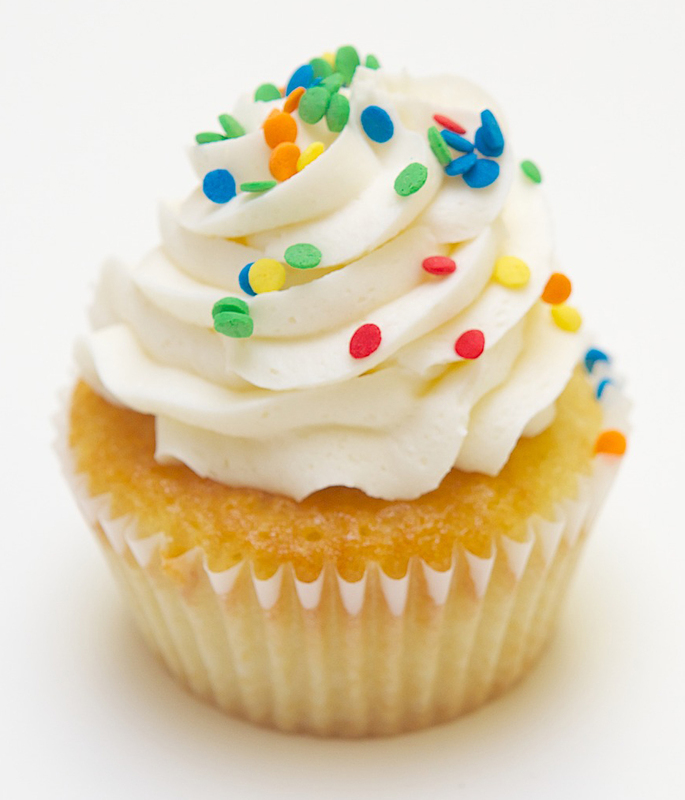 The recipe makes enough frosting to ice a 9” layer cake or a dozen or more cupcakes, depending on how thick you like your cupcake frosting. Whisk together flour and milk, adding milk to flour slowly. Beat out any lumps. Slowly cook until mixture thickens. Set aside to cool. When cool, whisk in vanilla. Using a stand mixer, cream butter and sugar until light and fluffy. Add milk mixture, whipping on high speed until frosting is fluffy. Summertime is a time for enjoying outside activities. But it’s also a time for thunderstorms, and if you have kids at home or grandkids visiting, when a rainy day hits, you need indoor activities. Having some basic craft supplies handy will make for a fun day and keep the kids from being glued to the TV or their various devices. Here’s a simple project to get you started. Print out this skateboarding, pigtailed girl for the little ones to color with crayons or colored pencils. Mount the finished drawing on a piece of colored construction paper. If you have pinking shears, trim the edges of the construction paper for a decorative look. Glue a piece of ribbon to the top back corners for hanging. Glue on buttons, beads, and ribbons for added decoration. 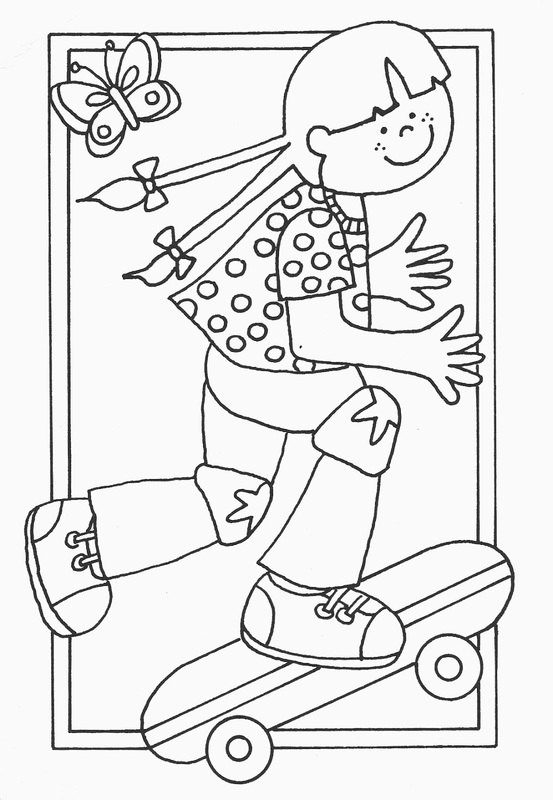 Stop back next Monday for a coloring project for the boys. 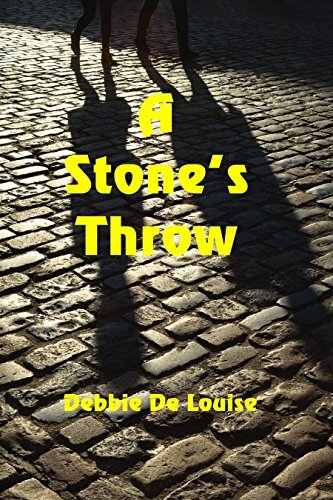 Today we’re joined by library cat Sneaky from author Debbie De Louise’s Cobble Cove Mystery Series. Learn more about Sneaky, Debbie, and her books at Sneaky’s blog and Debbie’s website. I was a lost kitty looking for a home. It’s a vague memory for me because I was quite young before I found my way to the Cobble Cove Library where I was taken in as their library cat and later became Alicia’s furry friend. I’m flexible, and I don’t mean that I can stretch out my paws and flip on my back. I can play a variety of parts and do justice to them all. I’m too much like a real cat. Even though I help with clues, I don’t talk like some of the other cat sleuths such as Midnight Louie. 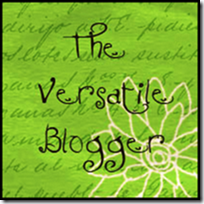 Creating my blog was my own inspiration, but my author was the one who set it up. I always want juicier parts. I also requested to be on a cover. Debbie finally agreed to that, but it took her three books to do it. That my series will end because Debbie will move on to another series. She already has one book of a new cozy started, so it’s a dark shadow hovering over me. When people buy our books and write good reviews about them. I’d like to be talking in some scenes or at least thinking and communicating with readers. I won’t say Fido, the dog in the series, because I don’t see him as a threat. He’s too dumb for that. I love Alicia and Laura, the children’s librarian who joins our crew in our second book. I can’t really say that I dislike any of the other characters. Sheila, the library director, was a challenge, but she came around. Possibly Sheila. I’d love to be a library director. I’d put in more sunny windows with seats for watching birds and sunbathing, and I’d also schedule a lot more Sneaky story times with the kids. Debbie is a librarian and that’s why she can write so well about libraries. She also writes other books and stories besides our series. Most of them are mysteries (not necessarily cozies) but some are other genres. You can find out more about her on her website where she writes her own blog, too. Debbie has written a fourth Cobble Cove mystery which we both hope will be published soon, but she still has to edit and submit it to her publisher. If you look on YouTube, Debbie has some trailers for our series. The latest one gives a sneak peek to the upcoming book. Widowed librarian, Alicia Fairmont, travels to the small upstate town of Cobble Cove, New York, where her dead husband spent part of his childhood. There she meets newspaper publisher, John McKinney, a widower. 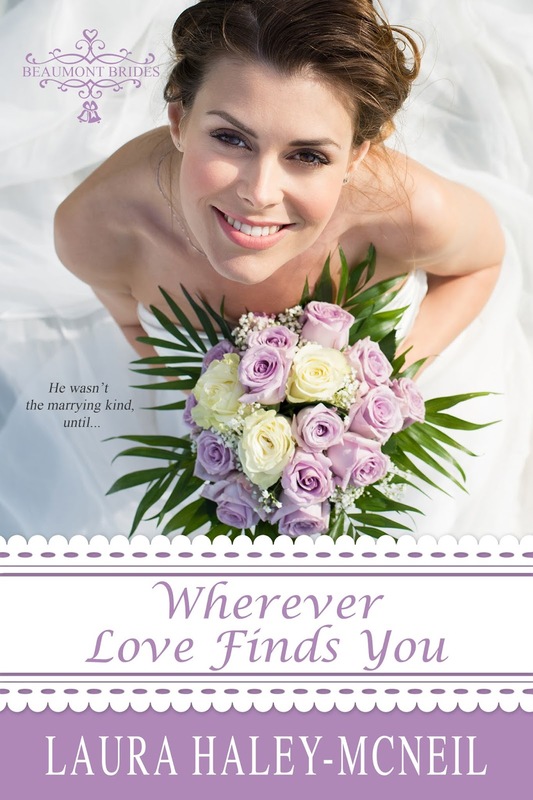 When she accepts a position at the Cobble Cove Library and becomes romantically involved with John, she learns some secrets that tie him and his father with her husband’s family. As strange events take place, Alicia begins to suspect that the hit and run accident that killed her husband may have been murder and that John is the prime suspect.